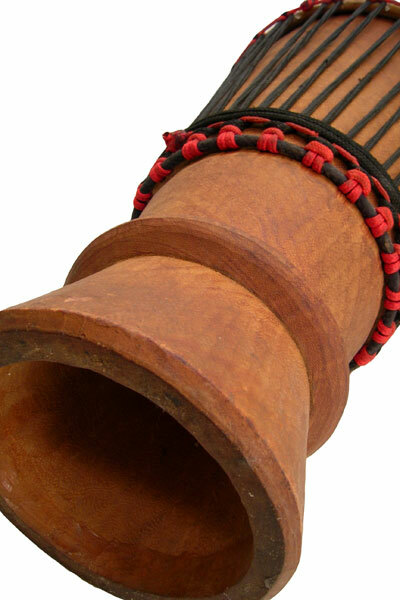 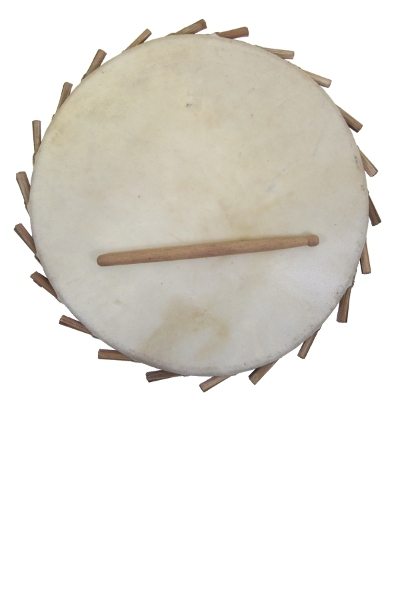 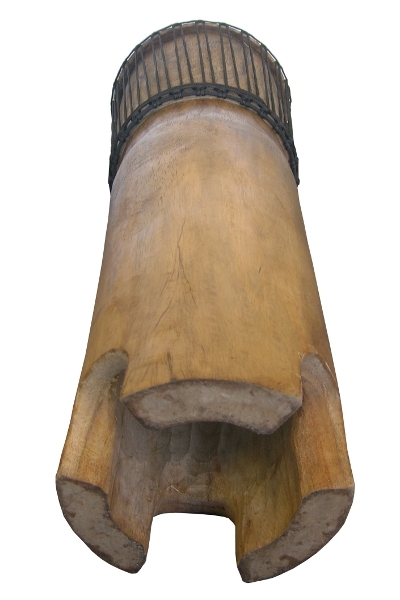 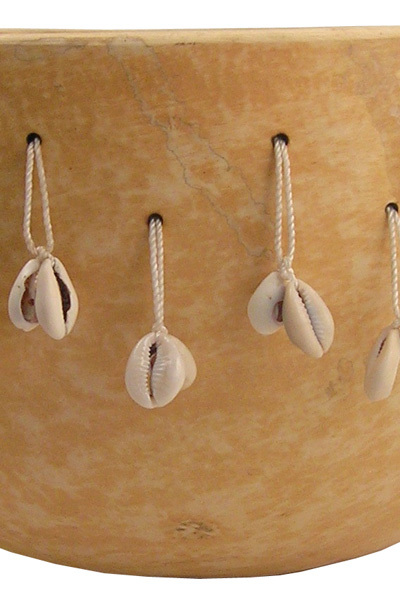 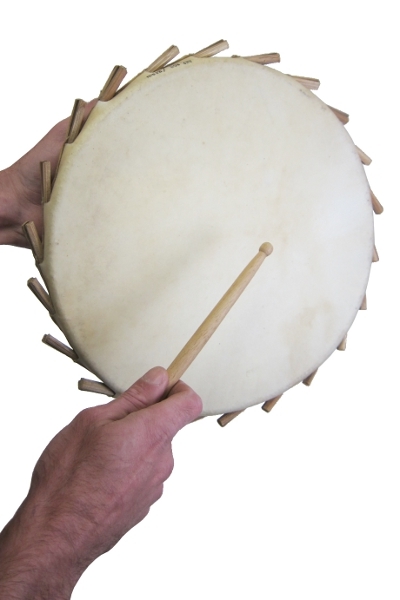 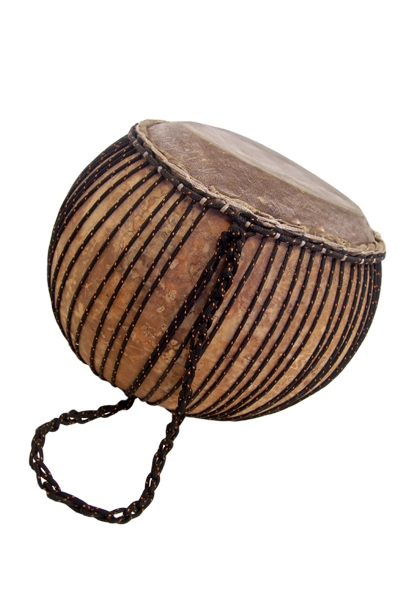 This bugarabu is a fine example of expert carving and the unique, powerful sound the bugarabu is known for. 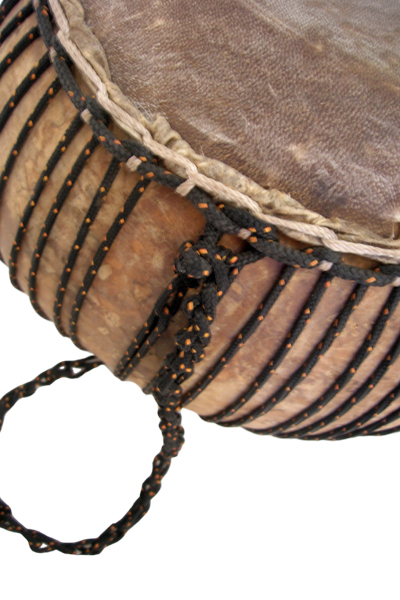 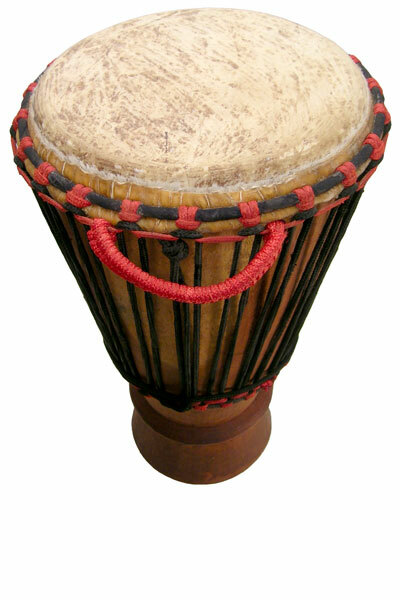 Bugarabu sound quality is greatly determined by the quality of the skin, which on this drum is of optimal thickness, producing very deep, loud tones, slaps that bite through the air, and full bass. 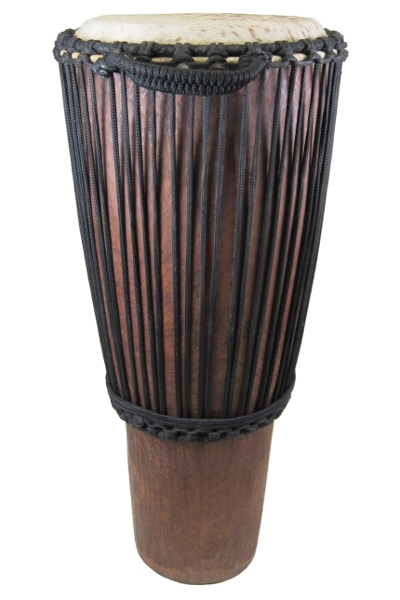 The quality of the wood is superior, with dark, seasoned Iroko wood, carved to uniform thickness and well seasoned. 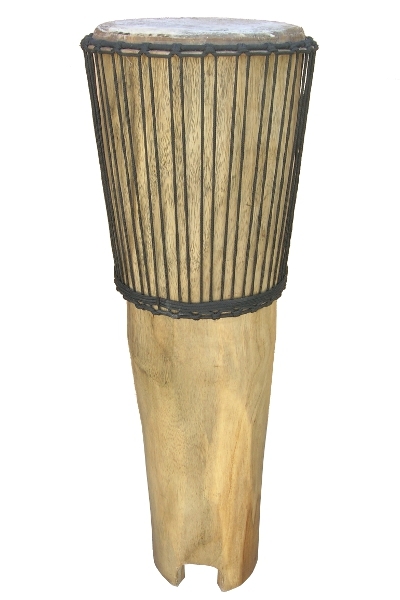 The Heartwood bugarabu from Ivory Coast comes in the sizes 9″x22″, 11″x24″, and 12-13″x25″. 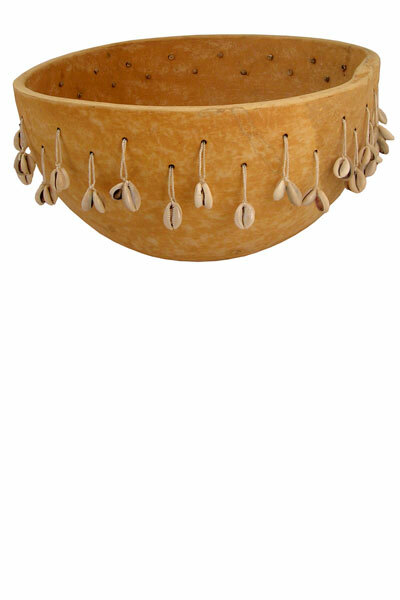 Small sized bowl: 9″ top OSD wood; ~22″ tall; ~7″ base OSD wood, 12-17 lbs (9″x22″ only). 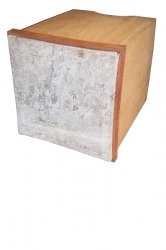 Standard full size bowl: 12-13″ top OSD wood; ~25″ tall; ~9″ base OSD wood, 17-22 lbs (11″x24″ only). 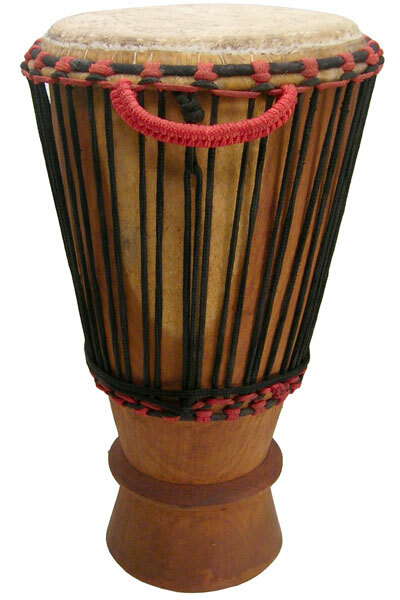 Standard full size bowl: 11″ top OSD wood; ~24″ tall; ~8″ base OSD wood, 15-19 lbs (12-13″x25″ only).